Once an instance has been placed on the stage, you might decide to replace it with another. For example, if you are making a photo gallery, you might want the first image to fade in, then fade out, followed by a second image fading in. And you will likely want the next image to fade in to the exact same spot. One way to do this is to swap one for the other. Swapping can be used for both symbols and images. In this example, I'll use an image. 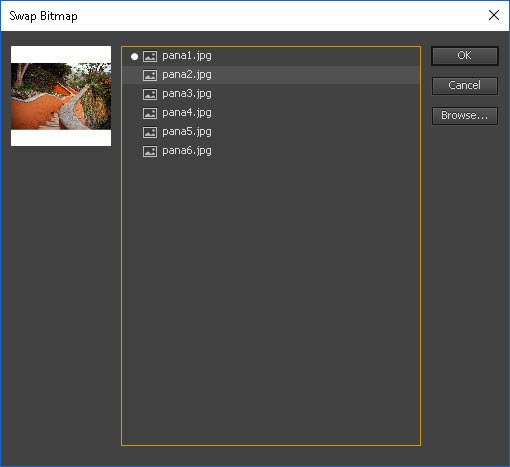 With the original image selected, go to the Properties panel and click Swap. 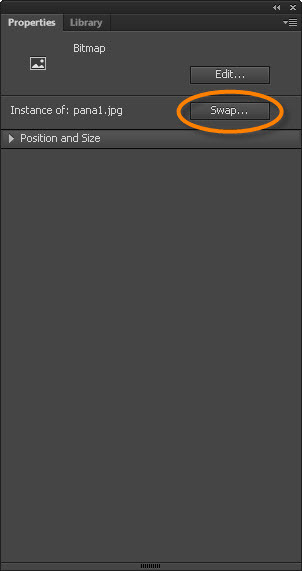 The dialog box will list assets in the library. Select the image you want to use and click OK.